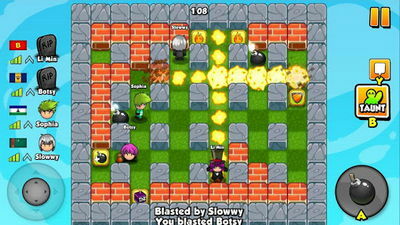 Blast your opponents to bits in fast-paced online multiplayer gameplay. Use awesome powerups to help you win. Remember, if you die, you're called a Dead Bomber, and you can haunt and curse the living players to make their journey hell. - Online multiplayer for 2-8 players against friends or random opponents. 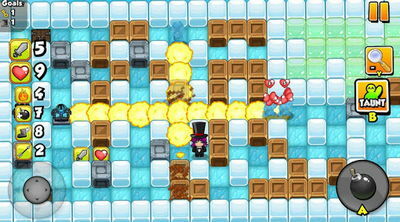 - Campaign mode with over 300 levels and 6 different worlds full of devious monsters! - Classic Bomber style gameplay, with awesome powerups! - Google play achievements and leaderboards.